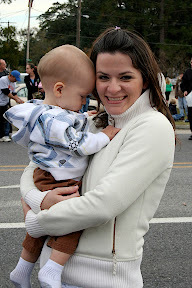 Caleb and I went with my friend, Crystal, and her little boy to the Christmas parade in my hometown. 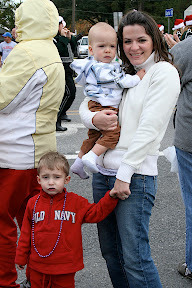 It was lots of fun and brought back lots of memories. 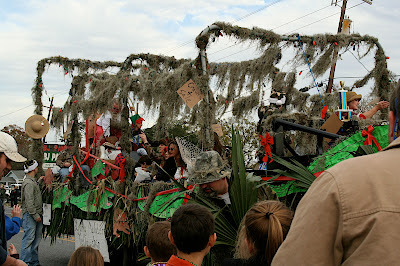 This was my favorite float. 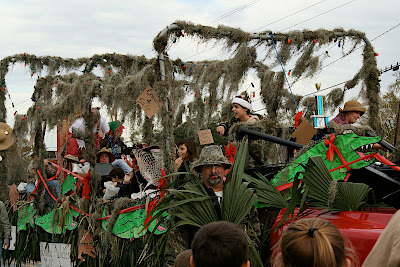 You can see Santa in the back of the float in his red britches and suspenders. Look close.